Tom on the way to Victoria for BC Track Provincials. The guys of Blood of the Young at Leeside. Hey, I promise every now and then I still go skateboarding. This here is an instant print of New Pal Dimitri of Blood of the Young. He and Long-Time Pal TRH were just in Vancouver being international-art-badboys, doing a one night art show/party (details on the event are here! ), and I had the exquisite fortune to go skateboarding all day with them Sunday. The proof shot for a B&W portrait of both of them troublemakers. 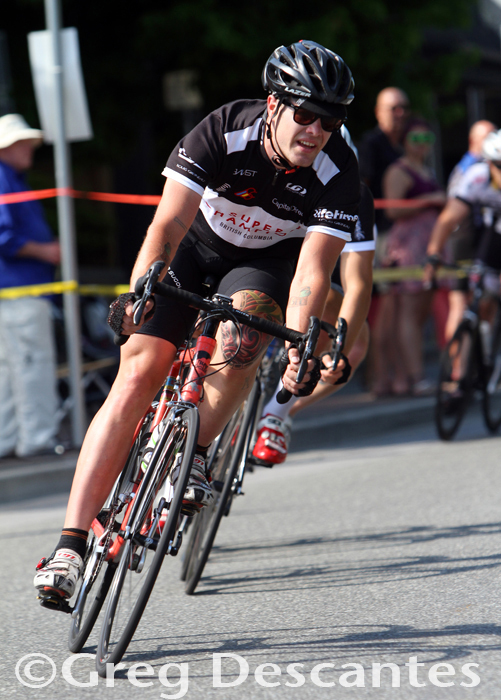 I spent Saturday racing bicycles, the results of which can be seen here on Canadian Cyclist but if you want to cut to the chase for a nice photo, click there. Because well, really my results were kinda crummy, I was stuck behind a crash in the second last corner. THIS IS HOW LIFE WORKS.